This glass Irish blessing plaque features a Celtic cross and it is enhanced with shamrocks. This Irish blessing plaque features a Celtic cross and shamrocks along with beveled mirror edges. The Celtic cross plaque is ready to hang or stand with the attached easel backer and measures 2 1/2” wide x 7” tall. 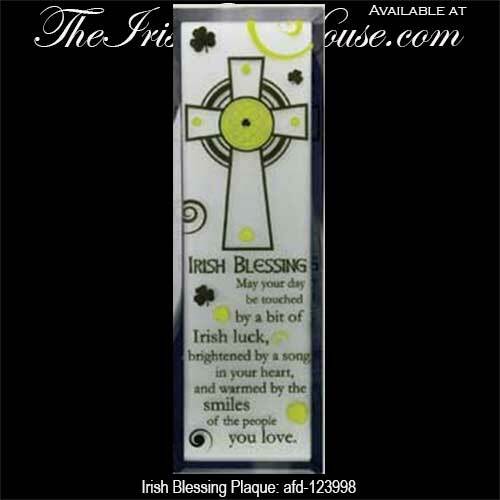 This Irish blessing is gift boxed with Celtic cross and shamrock history cards, complements of The Irish Gift House.